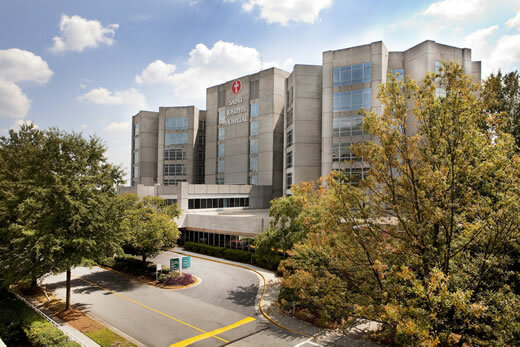 Emory Saint Joseph's Hospital has opened the Emory Women's Center on campus at 5673 Peachtree Dunwoody, Suite 700, in collaboration with Emory Clinic's Department of Gynecology and Obstetrics. Specialists from the Emory Clinic provide comprehensive care in one location including well-woman exams, prenatal care, minimally invasive gynecological surgery, menopause care, sexual dysfunction, incontinence, pelvic organ prolapse and gynecologic cancer. General obstetrician-gynecologists Suzanne Griffith, MD, and Mark Lachiewicz, MD, who provide routine women's health services and minimally invasive surgical options to patients. Pregnant patients will be able to receive prenatal care at Emory Women's Center, with deliveries continuing to take place at Emory University Hospital Midtown. Generalist Mary Dolan, MD, MPH, a Certified Menopause Practitioner through the North American Menopause Society (NAMS). Dolan offers a specialty clinic focusing on the needs of the menopausal woman, with an emphasis on preventive care. Gina Northington, MD, of the Female Pelvic Medicine and Reconstructive Surgery division. Northington leads the expansion of urogynecology at Emory Saint Joseph's with a twice-monthly clinic at the Emory Women's Center. Alan Gordon, MD, and Ira Horowitz, MD, SM, who provide gynecologic oncology specialty care. Emory Saint Joseph's is already home to many providers from the Winship Cancer Institute, ensuring that cancer patients receive the latest cancer treatments available. The first phase of this growth project at the Women's Center will soon be followed by an expansion of services across several specialties including colorectal surgery, endocrinology, gastroenterology and cardiology. For more information or to make an appointment, please call 404-778-3401.